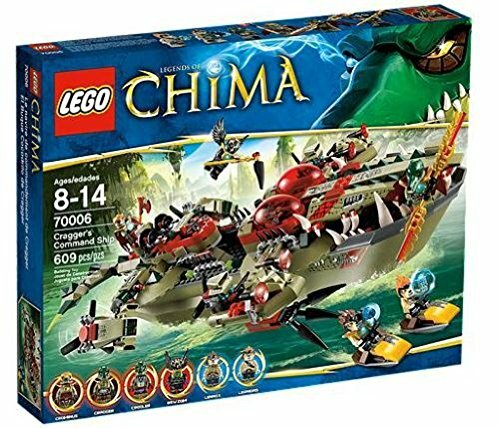 CHIMA is under siege by the ancient ice hunter Tribe who are using their never-before seen powers to freeze anything they touch or blast at. 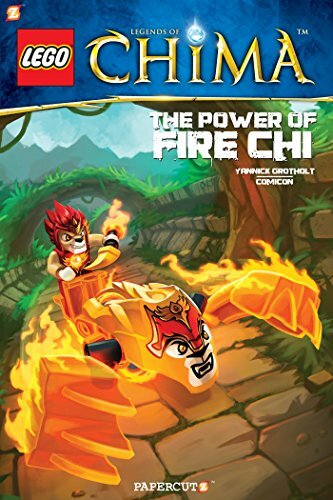 The only way to fight these powerful opponents is to obtain and master the Fire CHI! Convert Bladvic's Rumble Bear vehicle into a fearsome mech fighter! 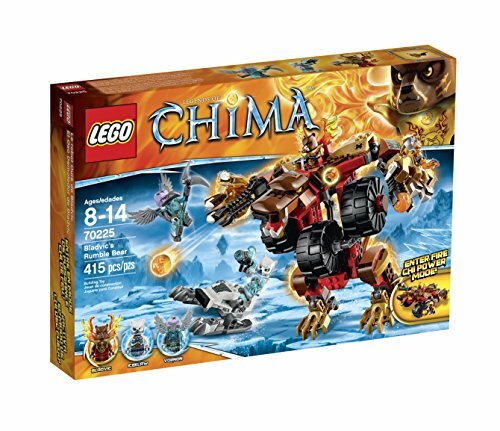 Stop Iceklaw escaping on his Ice Sledge with Bladvic's posable Rumble Bear featuring fire chi power mode, fighter mode and 2 ball shooters. 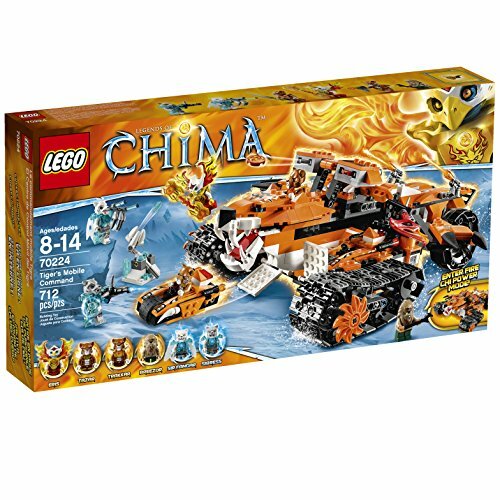 The Ice Bears, arch-enemy of the Brown Bear tribe, have entered Chima again! Now, Iceklaw is escaping with the stolen CHI on his super-fast Ice Sledge, helped by Vornon the Vulture. 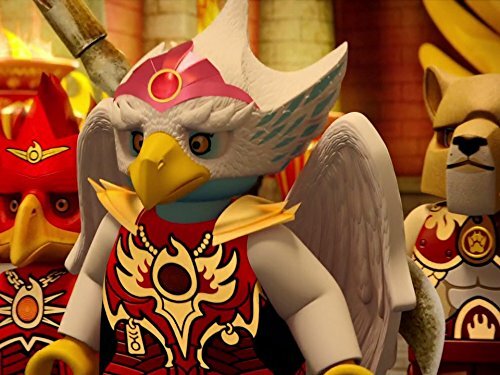 Power up Bladvic with his Fire Harness and Fire Wings and give chase on the awesome Rumble Bear. 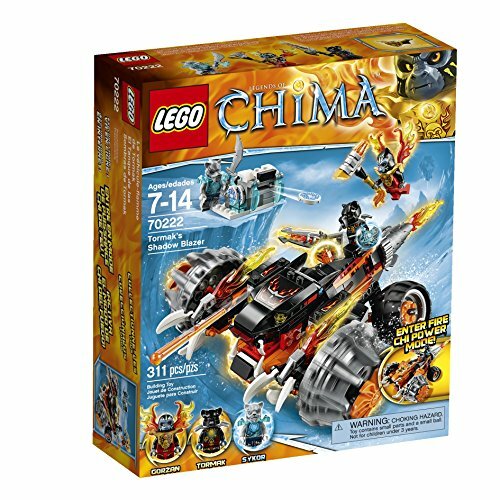 Fire the ball shooters and evade blasts from Iceklaw's Freeze Cannon and then transform the Rumble Bear from fire chi power mode into fighter mode. Pose the arms, legs and head of Bladvic's fearsome battle machine and overpower the rival warriors! Includes 3 minifigures with assorted weapons: Bladvic, Iceklaw and Vornon. Bladvic's Rumble Bear features fire chi power mode and fighter mode, cockpit for Bladvic, 2 ball shooters, 3 big wheels, posable arms, legs and head, bear detailing and golden elements. Also includes Iceklaw's Ice Sledge. 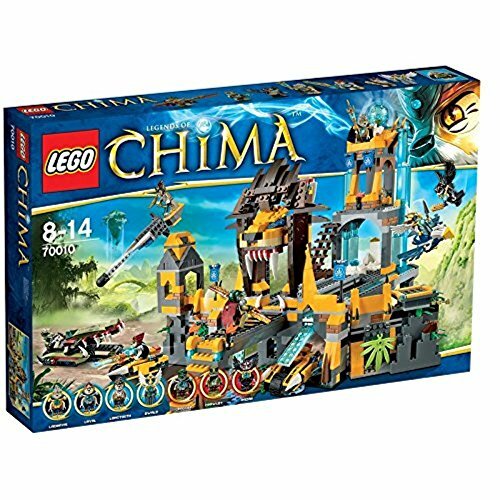 Sir Fangar's Saber-tooth army seems unstoppable as it freezes the kingdom of Chima and steals all the CHI. 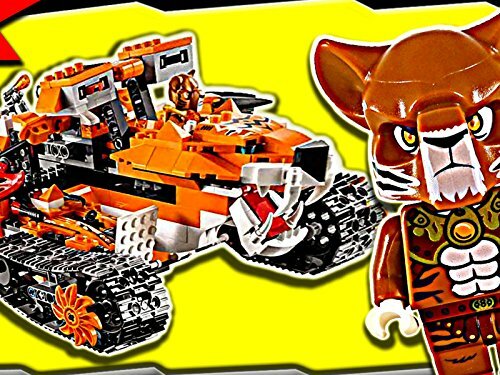 Team up with the elite Tiger warriors to launch a roaring counter-attack with their mighty Mobile Command vehicle. Detach the rear of the vehicle and convert it into a hi-tech Tiger communication base, complete with radar dish and computer panels, to plan your attack on. 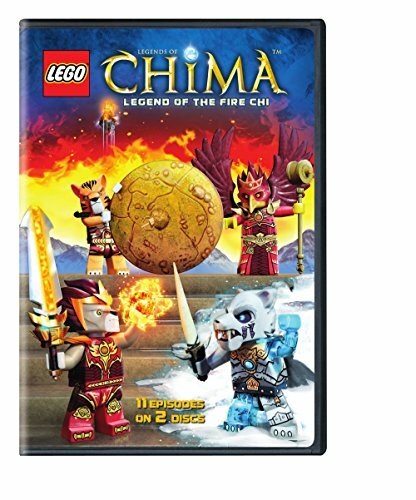 Engage fire CHI power mode to unveil the flame wings and fire the hidden disc shooters. Then unleash the Tiger Pursuit Bikes and track down Sir Fangar's ice hunters! 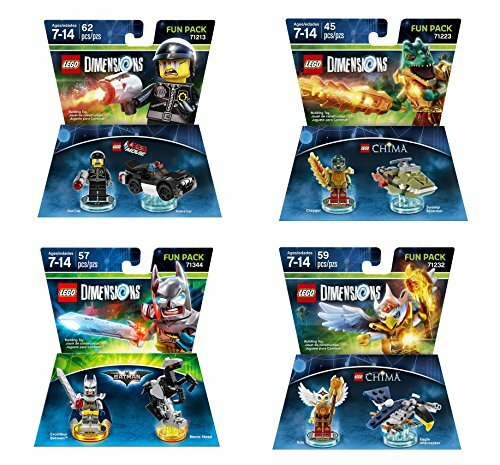 Includes 6 minifigures with assorted weapons and accessories: Tazar, Trakkar, Eris, Breezor, Sir Fangar and Sibress.